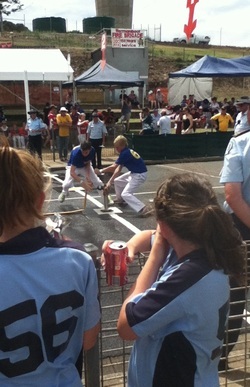 In 2013 Warrnambool Fire Brigade hosted both the Junior and Senior State Urban Fire Brigade Championships. 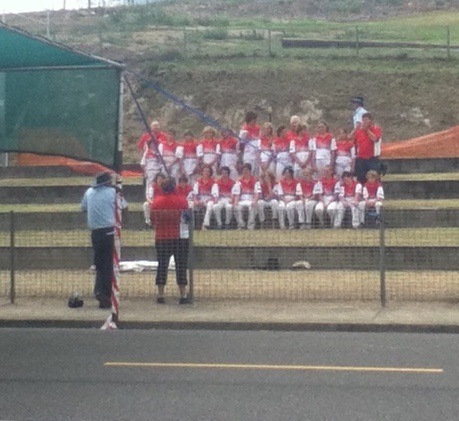 The Junior Championships were held on the Weekend of the 23rd and 24th of February 2013. 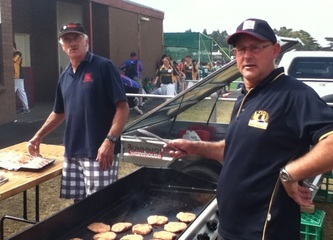 The Senior Championships were held on the long weekend of the 9th, 10th and 11th of March 2013. Juniors Finished, Seniors on the starting line. After a hectic weekend, and on the end of months of preparation, the Junior Championships has been run and won. 78 teams from across the state and the Esperance team from Western Australia came to Warrnambool to be blessed with a weekend of fantastic weather, quality competition and a well-run event. Benalla was crowned the Champion Brigade after taking out the Under 17 aggregate and the Ken Talbot Dry Aggregate. They were also very consistent in the Under 14 age group, leading to their taking out of the Grand Aggregate. One key highlight of the weekend was the great behaviour and positive attitude of all Competitors. It was fantastic to see all Juniors having a go and trying their best, regardless of where they finished. Many personal best times were set. A straw pole of several participants also indicated that the most popular place for recovery after the events was the Warrnambool beach, which was drawing very big crowds on a particularly warm weekend. The local committee was very pleased wih the conduct of the weekend, despite issues with lightning on the Friday night, a range of operational incidents in the Warrnambool area to deal with, and the Grampians fire just over an hour away. Faint smells of smoke as the northely breeze picked up on Sunday morning reminded all of what our overall mission is, and also of how the support and effort that goes into Juniors can pay off by producing firefighters and leaders for our Brigades in the future. Thoughts all now turn to the Senior Championships on the March long weekend. Please note that there is limited parking inside the Friendly Societies Park for the Championships. The main parking location is to the west of the track in Victoria Park. A gate has been instaled in the fence between the track and the parking area for easy access from the parking area. This gate is found out behind the Netball Changerooms. Please support the local committee by following the directions of the parking marshalls from the local Coastguard. Over the last week the setting up and testing of the infrastructure to run the Championships has been undertaken. 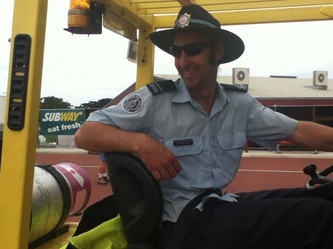 Under the guidance of CFA District Mechanical Officer Cam Gelatley and Warrnambool Brigade Lieutenant Steve O'Keefe the park has been fitted out to an appropriate standard for a state championships. On Thursday the discs and timing equipment had been installed, shade cloths were up and marqees were being erected. Some Brigades had already pegged out a space, including the super-keen Hamilton mob. Water testing was underway in the afternoon, with timing checks to see that it was running at an appropriate speed and that it was even across the plugs. The Brigade has installed a new pumphouse and upgraded plumbing in readiness for both the Junior and Senior Championships. Station trophies for the 2013 State Championships are now ready and awaiting their new owners when the Championships are run. Local Committee Trophies Executive Manager Mick Corbett has worked with the Warrnambool Triton Woodwork Club and Lifetime Trophies to come up with a unique design. The design is based on the Brigade's Bell, which hangs at the front of the station. It is embellished with the Champioship's logo. Mick, a past-master of running demos, was quick to act when given this task. The Warrnambool Standard recently featured an article on the trophies. Click here for more detail. 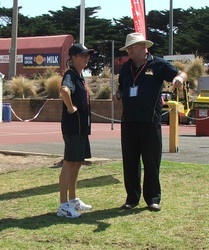 The State Championships will be held at Friendly Societies Park in Warrnambool. 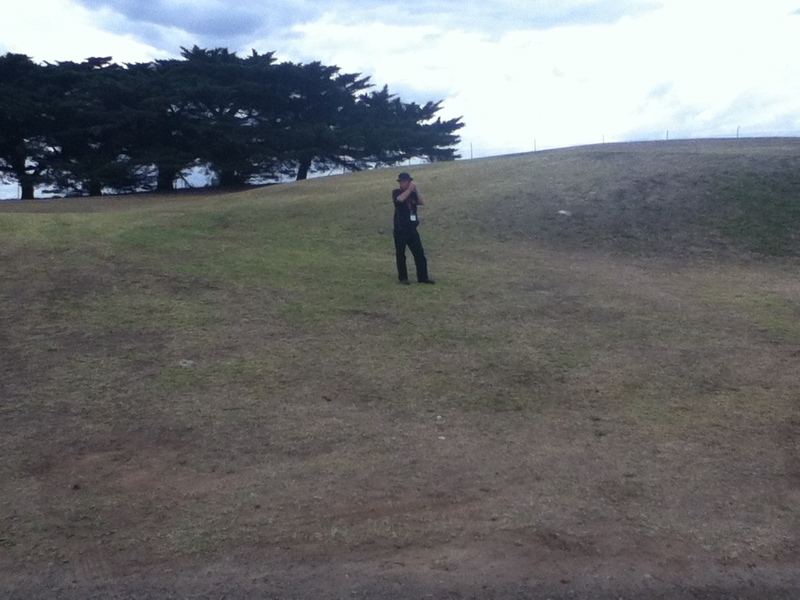 It appears as Victoria Park Reserve in Google Maps. The main entrance is off Lava Street, to the west or Port Fairy side of the CBD..
Limited parking is available on-site; there is more parking available at Wannon Park (Warrnambool Showgrounds) across Koroit Street from the Park. The Brigade is pleased to announce that several companies and organisations have come on board as sponsors of the 2013 Championships. The Brigade is planning out trophies and prizes for events, and as received great support from three nation-wide organisations that have a local presence. Bunning's, K-Mart and The Good Guys Electrical are the providers of vouchers to the winners and place-getters of the senior events. Said local Executive Manager of Trophies and Programs for the Local Committee Mr Mick Corbett, "We are very pleased to have Bunnings, K-Mart and The Good Guys join with us in the provision of trophies. We have a local connection with these stores here in Warrnambool, but they can provide a service to all the Brigades who participate and have a chance of winning a prize at the Championships." Mr Corbett is also working with the local Triton Club to produce a unique station trophy, and has organised some fantastic items as recognition of the winners and place-getters in the Juniors. "We are lucky in Warrnambool to have some great organisations such as the Triton Club to help us out" said Mick. 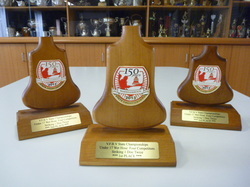 The unique trophies incorporate recogntion of the Brigade's 150th anniversary which is happening in 2013, and is a major reason for the Brigade hosting both Junior and Senior Championships. Electrical Distribution company Powercor has also agreed to partner the Brigade as major sposor of the Junior State Championships. Powercor's core business is to manage the poles, wires and equipment that deliver electricity to homes and businesses in Melbourne and through central and western Victoria. They are responsible for the quality and reliability of our customers’ power supply. The Brigade and Powercor have been partners for many years, with Powercor employees responding with the Brigade to many fies and incidents over the years that Powercor has been responsble for Warrnambool and district. The City of Warrnambool is particularly susceptible to power pole fires and the prompt response of Powercor Employees to these calls is greatly appreciated by the Brigade. This partnership has been further strengthened by Pwoercor's support of the Brigade in conducting State Championhips. 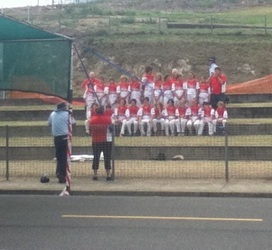 They have now sponsored Warrnambool's 2004, 2009 and 2013 Championships.